Kedermaker Distributor | Lightweight Manufacturing Inc.
Kedermaker is one of the largest manufacturers of keder worldwide. 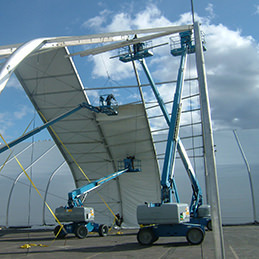 The Kedermaker products are available in North America through a distribution agreement with Lightweight Manufacturing. Kedermaker has the perfect combination of competitive pricing and high quality. This is because Kedermaker is RF (radio frequency) welded to create a very consistent product. Kedermaker developed a proprietary technology to make the RF welding process more efficient. 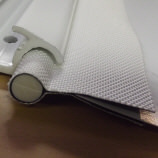 Fully bonded: Kedermaker products are made with unique welding equipment that creates a bond between the keder cloth and the core all the way around the kedercord. 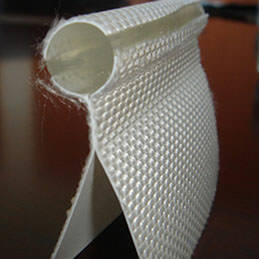 Colors include white translucent, white opaque, black, and silver-grey opaque. Both plain and panama woven keder cloth. 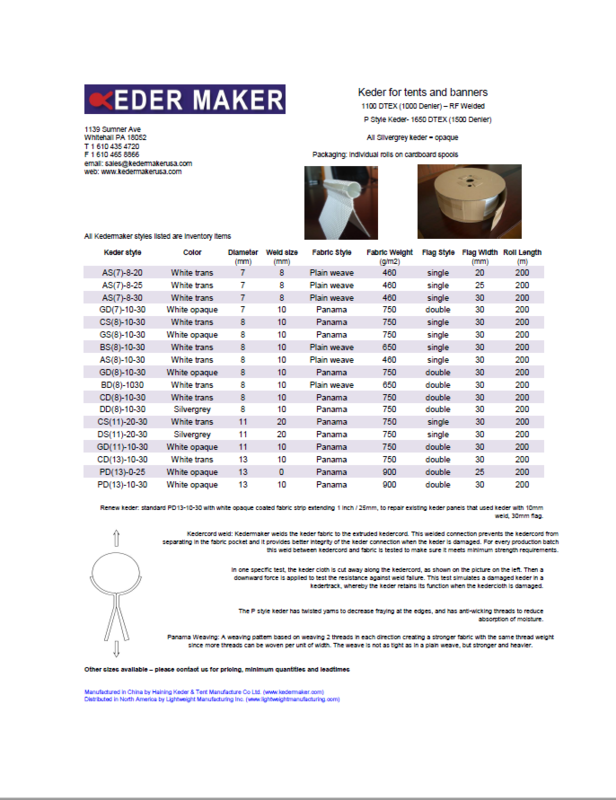 Canadian customers, please contact Kedermaker Canada. Visit the Kedermaker manufacturing website. Visit our dedicated KedermakerUSA website. Check out our keder rail catalog for other extrusions we have available.